“So am I being hoodwinked to even think that I could love you?” That question looms over everything on LVL UP’s masterful sophomore album. It’s a record that addresses our enormous capability for self-deception. Hoodwink’d is concerned with the idea that we’re our own worst enemy, that we let emotions cloud our better judgement and hold us back from living up to our full potential. Whether it’s triggered by low self-esteem or anxiety or a perpetual fear of failure, it’s all the same — we lie to ourselves, and that’s the most dangerous thing we can do. “I keep trying/ keep, keep trying to lose,” Dave Benton sings at one point, practically forcing the words out because the realization is too hard to face: we’re not entirely in control of our own mind, and we rarely know what’s best for ourselves. Hoodwink’d addresses our lack of control through a clever supernatural motif. There’s talk of hexes and spirits, spells and witches. It’s an evocative theme, and one that questions how much agency we have in our own choices. 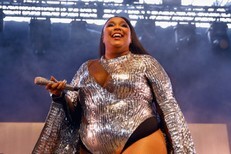 The witchcraft on the album represents an outside force, something that we can deflect blame onto — it could just as easily be God or fate or a mixture of the two. “My ride got hexed so I’ve been trying to catch my breath/ it got hexed and it doesn’t really matter what happens next.” We can’t trust ourselves. We’re constantly being betrayed by our own body through rushes of hormones and chemical imbalances and there’s no way to fully take control, so we look towards higher powers that can shoulder some of the guilt. “So am I being hoodwinked to even think that I could love you?” Hoodwinked by whom? Someone we loved or that we thought loved us? By an outside force that’s beyond our ability to control? Maybe. But the most likely answer is that we’re being hoodwinked by ourselves, deceived into thinking unhealthy relationships and negatively fueled emotions are what is good for us. And even if we recognize our feelings as misguided or irrational, that doesn’t stop them from existing and influencing our every action. No matter how much we may recognize our faults on a conscious level, it’s extremely hard to actually change, and that leaves us feeling ineffectual and overwhelmingly vulnerable. That’s the power of self-deception: somehow, we’ll justify everything we do to hold onto our perceived sense of sanity. 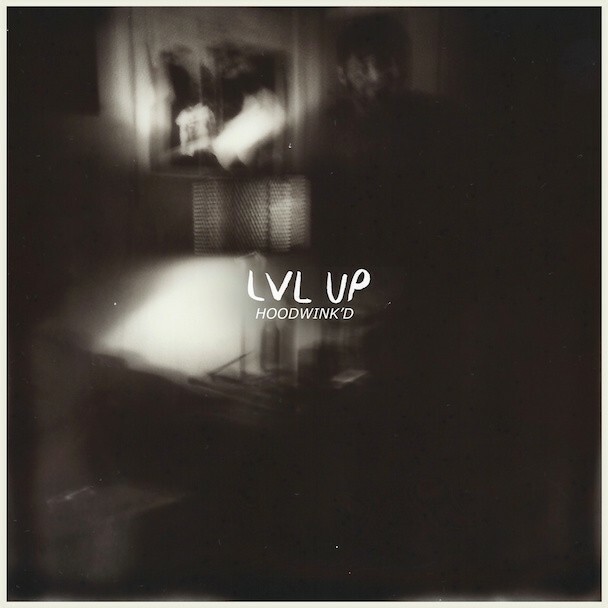 There’s a lot to unpack in Hoodwink’d, and I haven’t even really scratched the surface, but it’s a testament to LVL UP’s strength that the album never gets bogged down by these weighty ideas. Taken at face value, there’s fifteen songs here that display a wide breadth of emotional range, from hopeful to nostalgic to downtrodden. I’ve only recently starting thinking about the album’s implications as a whole, after the well-polished gleam of the songs themselves began to feel familiar. It’s hard not to talk about and appreciate the patterns that come through in the songwriting once you notice them, but there are so many ideas here musically that are extremely satisfying as well. There are so many truly beautiful moments that completely take my breath away and make me lose my train of thought: the chiming guitars of “Ski Vacation,” the pummeling push-and-pull of the minute-long “Total Loss,” the dignified resignation of “I Feel Extra-Natural,” which also shows up on Benton’s excellent side project Trace Mountains — these are just a few of many. Vocal contributions from Whatever, Dad and Crying’s Elaiza Santos are a welcome addition to the proceedings, adding a touch of sweetness to the often salty tones from the rest of the group. The band said in a recent interview that their 2011 debut, Space Brothers, could be seen as more of a compilation tape than a definitive release because of the makeshift way it came together. The LVL UP guys still mostly write their songs alone, but the fact that they were able to come up with an album that’s so thematically rich and sonically cohesive is a strong indication of how in sync this band is. If this is our first indication of LVL UP at full force, hot damn, because this is a truly, unbelievably great record. Listen below. Hoodwink’d is out 9/23 via Double Double Whammy/Exploding In Sound. Preorder it here.